20" Monster High Girls' Bike Just $50! Down From $99! You are here: Home / Great Deals / 20″ Monster High Girls’ Bike Just $50! Down From $99! 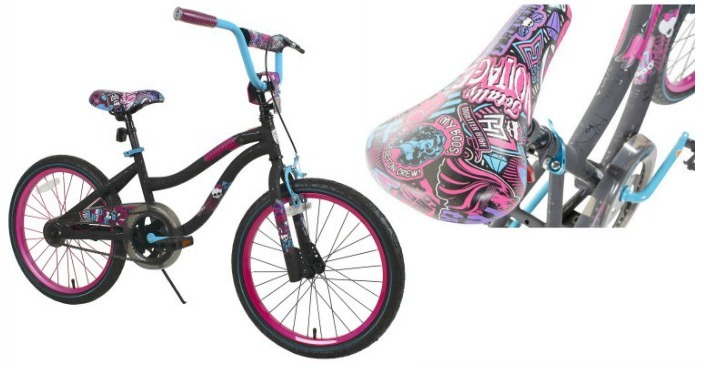 20″ Monster High Girls’ Bike Just $50! Down From $99! Right now you can get this 20″ Monster High Girls’ Bike for just $50 (Reg. $99) at Walmart! Monster High fans will love riding this 20-inch Girl’s Monster High Bike with a black paint finish and custom Monster High graphics. This 20-inch bike comes with a Monster High handlebar bag and a front handbrake. Don’t miss out on this stylish 20-inch Monster High bicycle!